The best 3D printing software is not always expensive, sometimes you can access it without charge. Free 3D printing software helps you design and slice your objects without a cost. A free 3D printing software is a program that helps you design, slice or process your STL files to produce a 3D printed object without any cost. This page aims to give you a list of 3D printing software without charge. Do you know that you can create 3D printed objects without paying for a software to process your 3D printing project? Yes, there is a lot of free 3D printing software that is available for use. But to save you from the hassle and inconvenience of researching, we created a list of the best 3D printing software to help you 3D print your design. Check it out below. Modeling is the first stage of 3D printing. A free 3D design software helps you draft a 3D printed object without charging you a dime. You should know that the software you use will affect your design and your level of experience may matter. So, in this section, I will categorize the free 3D printer design software based on skills. If you are a beginner, intermediate or professional 3D printing enthusiast get the one according to your experience level. This is a simple, online 3D design and printing app for everyone including designers, hobbyists, teachers and kids. If you are new to 3D printing, this program is user-friendly and easy to use. So you will not have a hard time learning to use this. In fact, this is among the easiest to use free 3D modeling software for 3d printing. You don’t need any experience in designing to use TinkerCAD in producing awesome 3D models. This app is designed to be straight forward and to operate in three simple steps: Place, Adjust and Combine. This is another free modeling software that is very easy to use. In fact, this tool is perfect for non-designers and children who wish to create 3D objects. 3D Slash is very easy to get started with, no training required. It comes with a unique and simple interface and uses basic tools to hammer and rebuild. It also allows you to utilize tools, pictures and texts in your model. 3D Slash is quick to navigate and has very light files. This 3D printing software makes designing a 3D printed object fun and compelling. This is another free 3D modeling software that is so simple and easy to use. In fact, anyone can pick it up and play with it even if he has no prior knowledge of the technology. Sculptris is lightweight compared to most 3D modeling software because it doesn’t need installation. It is a great application to give you a good feel of what 3D modeling is. After just a couple of minutes of using this 3D sculpting software, it will feel like a second nature to you. However, while it is very easy to use, you still need time to practice as it takes a lot of effort to create a great piece. SketchUp is a friendly free 3D modeling software that allows you to draw lines and shapes to get the design you want. It also allows you to push, pull, stretch, copy, rotate and paint to turn your imagination into 3D forms. This modeling software is straightforward and very easy to use. It knows that you do not need thousands of buttons and dropdowns for 3D drawing but space. SketchUp Free offers you an easy way to draw in 3D. For your convenience, it can be accessed in modern browsers on any operating system. It has no version, so you are always using the fastest and latest iteration. This 3D CAD software is designed for students, educators and academic institutions. Fusion 360 is available for Mac and PC. To use this, you have to create an Autodesk account. You have to register and download the app. After that, you can start designing quickly with your 3D model. If you wish to learn more about this software, you can explore its core concepts in under two hours. There are also live and recorded webinars that you can join to learn more about Fusion 360. This will be very helpful for a beginner or even for an advanced user. There are also training videos to help you prepare for class projects or build your skills. This is another free 3D CAD software that is made to primarily design real-life objects of any size. Its parametric modeling allows you to easily modify your design by going back into your model history and changing its parameters. FreeCAD is great for home users and hobbyists who want to get an object 3D printed because it has a community that is willing to help. But this might not work well for those who want to get things done on his own or who are too shy to connect with other users. This software is also for experienced CAD user. If you are familiar with commercial CAD or BIM modeling software at work, you will find similar tools and workflow here. This is a free and open source 3D software that supports modeling, animation, simulation, rendering, compositing, and motion tracking. It also helps with video editing and game creation. This is a cross-platform that runs equally well on Linux, Windows and Macintosh computers. Its interface uses OpenGL to provide a consistent experience. Advanced users employ the Blender’s API for Phyton scripting to customize the application and write specialized tool. As a community-driven project under the GNU General Public License (GPL), the public is empowered to make small and large changes to the code base. This results in new features, responsive bug fixes and better usability. Overall, Blender is effective in designing, modeling and sculpting. This 3D model maker is equipped with very useful tools to get things done. This is one of the best free 3D modeling software for 3D printing. This CAD software offers a state-of-the-art parametric 3D modeling. This free 3D design software for 3d printing is easy and convenient to use. With Onshape, there is no downloads, no installation, no license key, no service packs and no compatibility issues. You get the latest version anytime and anywhere you are. You also have complete control of your data. In addition, you can also control and monitor access privileges and see who changes what and when. This free CAD software has amazing support. You can get unlimited help from CAD experts online so you can quickly learn the technology with self-paced training. In addition, it has comprehensive documentation and active forums. While creating your 3D object you will need an STL viewer, checker, editor or repair to complete the process. The software that you will find in this section will be helpful in processing your STL file. This is great for beginners because it has a very simple interface that allows anybody even without CAD knowledge to view the models and zoom it on details. The views from any angle can be printed or saved as pictures. This software is designed to open and view STL files including native 3D-tool files (EXE/DDD). It has the same features as 3D-Tool Basic and Advanced such as Cross Section, Measure/Markup and Explosion. This allows you to visualize, graphically analyze, measure and mark-up your CAD projects. However, it does not provide the ability to save your modifications or markup files. You need a paid version to do this. For those who are just getting started with mesh repair, this got everything you need to get started. This is great for beginners and hobbyists. This allows you make 10 repairs and with a maximum file upload size of up to 25MB. This is equipped with analyzer, repair non-manifolds, repair flipped faces, repair boundary edges, and repair intersecting objects. This is a cloud-based mesh repair service that analyzes, validates and repairs most common mess errors. It has plug-ins that connect seamlessly with Blender and Sketchup. This is an advanced and open source system that is designed for processing and editing 3D triangular meshes. It allows you to delete part of your 3D model, merge two models into one and repair holes which makes it suitable for professionals. This provides a set of tools for editing, cleaning, healing, inspecting, rendering, texturing and converting meshies too. It also offers features for processing raw data produced by 3D digitization tools/devices and for preparing models for 3D printing. If you find yourself needing to change your 3D print model or make some repair job, then this is a solid option for you. For professionals who wish an advanced 3D printing software, this is a great option. This is equipped with powerful features that allow you to view, check, edit, and repair STL files. This is also good at spotting potential problems and automatically repairing it. It is equipped with the following features: hole filling, bridging, boundary zippering, and auto-repairing. It also includes drag-and-drop mesh mixing, 3D measurements, stability and thickness analysis. Due to its wide functionalities, this is also called “Swiss Army Knife” for 3D meshes. Slicing is the final step when processing a file for 3D printing. In this stage, the STL or OBJ file will be imported into a G-Code. G-code is just a text document in essence. It contains a list of commands for the 3D printer to read and follow. If you are looking for a 3D slicer software, then the following programs are for you. Check out the list below and see for yourself, which is best for you, depending on your skills and capacity. Ultimaker Cura is a friendly 3D slicer software. It is one of the easiest apps to use for slicing. In fact, novice can use this right away. In addition, it accepts different formats of files including STL, OBJ or 3MF file. You have to be familiar with your 3D printer when setting it up for Cura. If you know the details of your machine, this won’t be a problem. After the set up you will now be able to import the model into the Cura software. Cura prepares your model for 3D printing and makes it easy for novices to get great results. It also allows integrations with major software platforms to make the whole process even simpler. This software is free but if you wish for additional features, you have to pay for a charge. The good thing about this app is that it is extremely easy to set up. The entire process is very straightforward making it painless for beginners to follow and execute. This software is designed to be easy to use and understand making it perfect for novice 3D enthusiasts. Its graphic interface is colorful and beautiful and easy to manage. The display is easy to read and comprehend. It only shows the time left in the print and the status of the printer. The rest of the information that is not important to the non-expert is not included. This is one of the best slicer software for those who are new in 3D printing because this is fast, easy-to-use and free. This free slicer software converts your digital 3D object into a .gcode toolpath format that most 3D printers enjoy. This 3D printing software primarily works as a slicer software. But it’s also a good tool to complete other 3D printing tasks. With this, you can interactively manage your prints, reduce build time and find optimal build supports. This also includes a gcode visualizer that allows you to see each print layer by layer from any angle. As a result, you can easily detect any places that you want to modify before printing. MatterControl is a free and open source 3D printer software that offers a rich application but remains painless to use. It is easy to set up and very convenient to use making it a great option for newbies. It includes a Plug & Print feature that pre-loads the configuration for most popular printers. This software is a superb 3D printer control suite with a valuable addition to your software toolset. It has auto bed leveling tool and a control console that remains active during printing to fine tune setting. MatterControl is an all-in-one printer control software developed by the team at MatterHackers. It is designed to help you adjust 3D models, calibrate your printer and of course, slice objects. This 3D software is free and great for beginners. SelfCAD is an all-in-one platform online cad program that is easy-to-learn and user-friendly. It allows you to sculpt, slice and print your 3D models all in one program. Its in-built slicer allows you to check each layer of the object with its slicing tool. Another great thing about this program is that it displays the estimated print time, material usage and final model weight. It’s also fast, easy to use and will soon be available on tablets. As the name suggests this is for Makerbot line of 3D printers. This is a great option especially for the novice using this brand of printing machine because it is very easy to use. Its algorithm automatically adjusts the slice settings for your 3D printer mode and extruder type. It optimizes and streamlines the 3D printing process for any workflow. This allows you to discover, prepare, manage and share 3D prints conveniently. This is also accessible in a mobile app that gives you the power to wirelessly set up, monitor and control your network-enabled MakerBot 3D Printers over the Cloud. This app is one of the most user-friendly 3D slicing software that you will ever find. This is great for beginners and intermediate users who want to make sure that their printers are perfect. It has a clean and minimal interface with powerful features making it a great program for those who are still new to 3D printing. Beginners will surely love this as it no complicated and confusing settings. In fact, its simple interface allows you to do more with less. Tinkerine Suite is fast, free and open source. More importantly, it delivers high-quality results in a very short time. It also gives you 3D visualization, basic model manipulation, multi-model printing and print time estimation to give you full control when needed. This is a complete upgrade to your printing experience! This software app is dedicated to Zortax 3D printers. It follows the same principle as Tinkerine Suite. In fact, it is as easy, as convenient, as intuitive and as simple making it another great option for beginners. This is equipped with a clean interface and is complete with the basic slicing needs. It has four infill options that allow you to create support structures for your mesh. It is also come with editable support, auto mesh repair, thin wall analysis and project tabs. Its new version comes with a number of enhancement and cutting-edge functionalities and features that will surely improve your 3D printing experience. If you are ready to level up your 3D slicing experience but want to remain in an open source framework, this is a great option. This is the number one choice in the RepRap community. This is a free and open-source slicer software. It offers a wide application aside from slicing. It allows you to import one or more 3D models and scale, rotate or duplicate them on your virtual bed. It also allows you to slice the plate with different slicers and optimize the settings. However, you need to tweak the settings to get the best result. This will probably not sit well for beginners who don’t have enough experience to get the accurate adjustment for their 3D printer setting. Keep it Simple Slicer a.k.a. KISSlicer is a free 3D slicer software. It is powerful, easy to use and works on different platforms Windows, Mac, and Linux. It makes printing quick and precise, which makes it great for beginners. This software targets precision and focuses on the technical aspect of 3D printing. This helps you keep up with a wide variety of printer types, print styles and mesh topologies while handling different types of materials. Some find its name inappropriate for the software because KISSlicer has the most complex feature available in a slicer. In fact, this features adaptive layer heights, numerical modeled dynamic plastic deposition, extruder priorities, varying Styles per object, loop stitching to better bond the infill and other necessary components to generate beautiful and precise G-code files. Slic3r is a free software developed by Alessandro Ranellucci with the help of contributors and community. This 3D slicer software is a great tool to convert your digital 3D model into .gcode or printing instruction for your 3D printer. More importantly, it works fast. In fact, it can generate a g-code 100x faster than Skeinforge. It has multiple extruders, smart cooling strategies to regular fan speed, and micro layering that allows you to save time and increase accuracy. Slic3r is an open source and open development software. Its development is centered on GitHub and #slic3r IRC channel on FreeNode where the community is highly involved. So, it’s easy to get help if you need it. This is another advanced 3D slicer that lets you control your 3D printing job within your browser. In this way, it gives you full control and monitoring even if you are away. This is equipped with embedded webcam feed so you can watch the printer remotely, provides constant feedback regarding the progress and has integrated GCODE visualizer too that allows you to see a rendition of the file you are currently printing. You can also create time-lapse recordings of your prints. Aside from this, you can start, stop or pause the current printing job anytime giving you full control all the time. However, this 3D slicer software is not for beginners. Its user interface is designed for those with 3D printing experience. It offers more control that is built for functionality and not to look pretty. So, the novice will have a hard time exploring and learning it. Netfabb Basic is another popular 3D printer slicer software that includes wonderful features. This is more than just a 3D slicer as it also allows you to analyze, repair and edit STL prior to slicing. This makes a great choice for advanced users who need more than a slicer software. If you want to edit your STL files quickly without having to learn to use other tools like Meshmixer or MeshLab this is for you. Some even consider this as a true Swiss army knife for 3D printing. Netfabb Basic offers 30-day trial version that allows you to access all the professional features. The good thing is when the trial expires, it continues to run and remains usable. IceSL is equipped with a huge amount of control that die-hard coders will surely love. This makes a great choice for intermediate and advanced users who like to keep their 3D printers close and their Gcode closer. IceSL is one of the most remarkable 3D slicer software that also serves as a 3D modeling tool. It also includes a wide array of slicing settings that will surely be a turn off to beginners who wish to work with a simpler program. This is also equipped with ooze shielding that protects the model against “extruder drippings” and includes layer by layer view. IceSL core technology is available in three different software, one runs in a web browser. This 3D printer slicer software is accessible via web. It has a very simple interface but it’s not for beginners. Its being too simple makes it complicated for novice because it lacks the helpful settings that you usually find in a more detailed slicer program. SliceCrafter is based on IceSL but it lacks some of the advanced stand out features. However, this allows you to upload your STL file via a link. This software is free for educational and research purposes. It is also for individual non-profit and non-commercial use. If you love 3D printing, you should know that you do not need to spend a dime for the software that you will be using. The best free 3D modeling software and free slicer software are not necessarily expensive. You can possibly access it via the web or download it without charge. However, you should know that their feature is limited, but they have the basic ones that you need to process your 3D printing object. There is a lot of free 3D printing software, you just need to get yourself familiar with it. If you want to get yourself familiar with 3D printing, you can check our homepage. 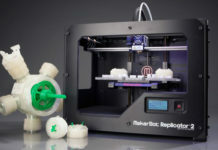 Next articleHow Much Does A 3D Printer Cost? Is The Price Worth It?